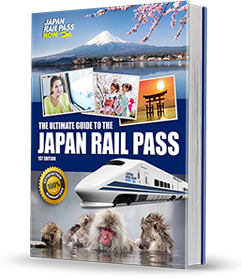 Once you arrive at Narita Airport, you can exchange your Japan Rail Pass voucher for the actual JR Pass at the JR Travel Service Center found at Terminals 1 and 2 at Narita Airport. Activate it right away and get a seat reservation on the next Narita Express train to Tokyo. In Tokyo, there are a number of JR lines where you can use your Pass. Following the JR Yamanote Line, you can cover several attractions located around Tokyo Station (Imperial Palace and Imperial Palace East Gardens), Shimbashi Station (Tsukiji Fish Market), Hamamatsucho Station (Tokyo Tower), Shibuya Station (Hachiko Statue), Harajuku Station (Meiji Shrine) and Shinjuku Station (Tokyo Government Building and Shinjuku Gyoen). 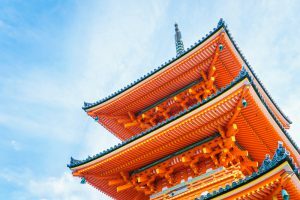 About a 20-minute walk from JR Ueno Station, which is accessible via the JR Yamanote Line and JR Keihin Tohoku Line, Asakusa has several centuries’ worth of history and is home to the city’s most famous temple, the Sensoji. 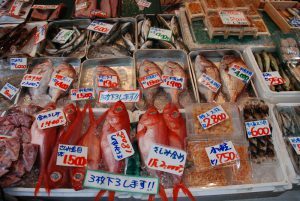 The district also has shopping streets (Nakamise, Shin-Nakamise and Kappabashi), department stores (Matsuya and Rox), and entertainment sites (Rokku and Hanayashiki Amusement Park). 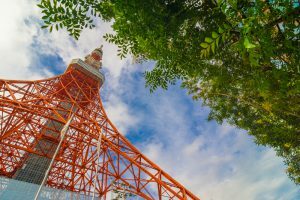 At night, you can go up the Tokyo Skytree and enjoy a 360° view of the metropolis. To go to Nikko, take a Shinkansen from Tokyo Station to Utsunomiya Station, and then transfer to the JR Nikko Line to Nikko Station. The journey is entirely covered by the JR Pass and takes 2 hours. 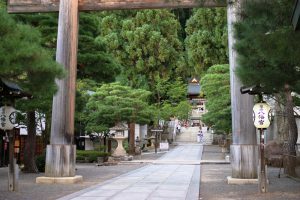 In Nikko, you can find the Toshogu Shrine (mausoleum of the first Tokugawa Shogun, Tokugawa Ieyasu), Taiyuinbyo (mausoleum of Ieyasu’s grandson, Iemitsu), Rinnoji Temple (most important temple in Nikko) and Tamozawa Villa (former residence of the Imperial Family in Nikko). Next city on the itinerary is Takayama, which can be accessed from Nikko by taking the JR Nikko Line back to Utsunomiya Station, transferring to a Shinkansen to Omiya Station, taking another Shinkansen to Toyama Station, and then boarding a Limited Express (Wide View) Hida train to Takayama Station. The entire journey requires 3 train transfers, takes about 6 hours, and is fully covered by the JR Pass. 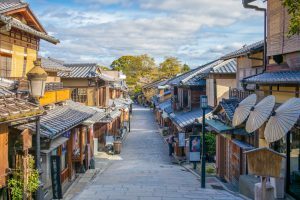 Take a leisurely walk for a few hours around Takayama’s Old Town, comprising buildings, houses and structures that date back to the Edo Period. Located in Nagano Prefecture, Bessho Onsen is a quaint onsen town that boasts of therapeutic, sulfurous waters. 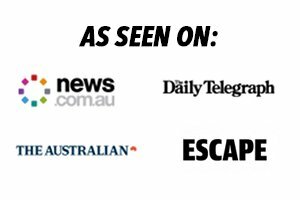 It has public baths, outdoor and indoor baths, saunas, spas and other services. To get there from Takayama Station, take the Limited Express (Wide View) Hida train to Toyama Station, transfer to a Shinkansen to Nagano Station, and board another Shinkansen to Ueda Station. This part of the trip takes about 3 hours and is covered by the JR Pass. Then, from Ueda Station, get on an Ueda Railway train to Bessho Onsen (not covered by the Pass), and pay 590 yen for a 30-minute trip. Matsumoto is Nagano Prefecture’s second largest city and, from Bessho Onsen, it only takes about 2 hours to get there. Take the Ueda Railway train from Bessho Onsen back to Ueda Station (not covered by the Pass; one-way ticket costs 590 yen). Then take a Shinkansen to Nagano Station and transfer to the Limited Express (Wide View) Shinano train to Matsumoto Station (both lines are covered by the Pass). Once in Matsumoto, you can visit the Matsumoto Castle right away, as it is only a 15-minute walk from the JR Matsumoto Station. With a full day allotted for Matsumoto, you can check out the Daio Wasabi Farm, which is situated in a rural area with large fields of wasabi, walking trails along a river, several shops and a restaurant. You can dine on a wide selection of wasabi products, such as wasabi soba noodles, wasabi beer, wasabi soft cream, wasabi sausages, wasabi chocolates and wasabi juice. 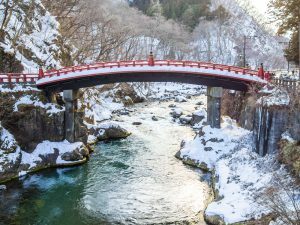 From Matsumoto Station, take a 30-minute train ride on the JR Oito Line to Hotaka Station (covered by the Pass) and then take a tourist loop bus to the farm (10-minute ride, 1-day bus costs 800 yen). To go to Kyoto from Matsumoto, take the Limited Express (Wide View) Shinano train to Nagoya and then transfer to a Shinkansen to Kyoto. 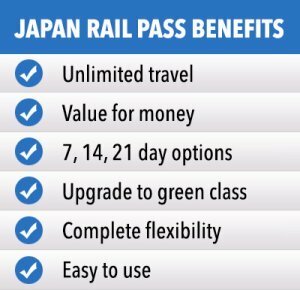 The 3-hour trip is fully covered by the JR Pass. Adjacent to the Kyoto Station are the Nijo Castle, Kyoto Railway Museum, Kyoto Imperial Palace and Kyoto Manga Museum. 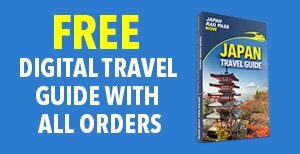 On your second day in Kyoto, explore Eastern Kyoto (Philosopher’s Path, Kiyomizudera Temple, Ginkakuji Temple and Nanzenji Temple) in the morning and Southern Kyoto (Tofukuji Temple, Fushimi Inari Shrine and Daigoji Temple) in the afternoon. With another day to spend in Kyoto, visit Northern Kyoto’s historical sites (Kinkakuji Temple, Ninnaji Temple, Shugakuin Villa, Ryoanji Temple and Enkoji Temple) and Western Kyoto’s Arashiyama district (Bamboo Path, Togetsukyo Bridge and Saga Scenic Railway). 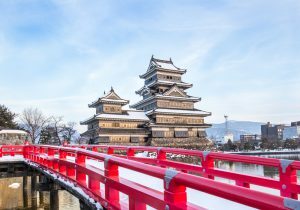 If you leave Kyoto mid-morning, you can squeeze in a trip to Hiroshima, home to the Peace Memorial Park, Hiroshima Castle, Mazda Museum and Shukkeien Garden. From Kyoto Station, the Shinkansen ride to Hiroshima Station takes about 2 hours and is covered by the Pass. To return to Tokyo from Hiroshima, take a Shinkansen to Shin-Kobe Station and transfer to another Shinkansen to Tokyo Station. 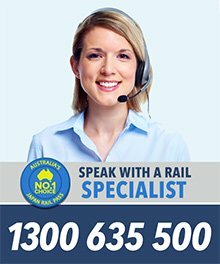 The full journey takes around 5 to 5.30 hours and is covered by the JR Pass.